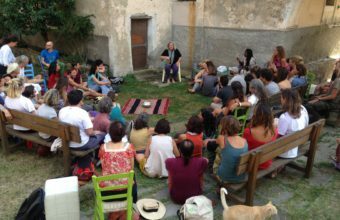 Punti di Vista – Is a Non-Profit Cultural Association founded in 1996 by a group of young volunteers, students and motivated people looking for a place of encounters, a place to convene and of self development. 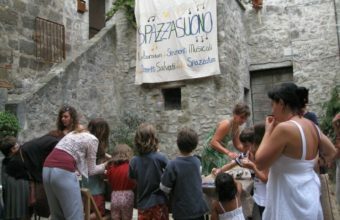 Non-Profit Cultural Association founded in 1996 by a group of young volunteers, students and motivated people. 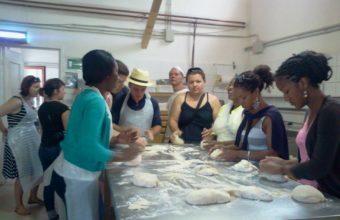 Food Security and Resilience students learning strengths and challenges of local food systems,cand experiencing traditional bread making with a dow leaven. 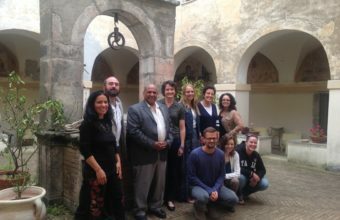 Etruscan Project (http.//www.lifeetruscan.eu): an inderdisciplinary pool of recently graduated students, selected through open call for scholarship, are g.
Community economies research network scholars debate key elements of sustainable urban food systems (http://www.communityeconomies.org). 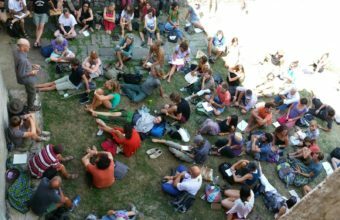 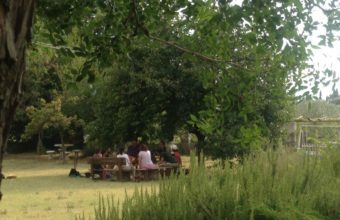 Internationally renown Peace activist Starhawk inspires participants during European Permaculture Convergency 2016 (http://www.starhawk.org). 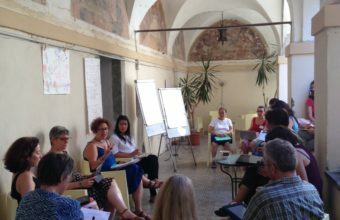 Feminist scholar activists meet to speak about care in economic and ecology. 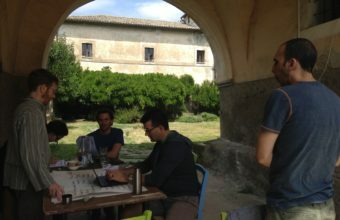 Intense code writing workshop (‘CodeSprint’) gathers developers from the four corners of the Globe for globally renown open source platforms. 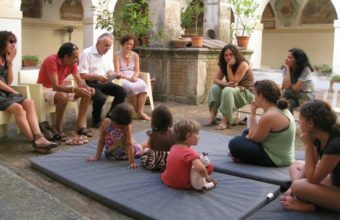 Celebrating S.Maria del Giglio across the generations with stories in cloister. 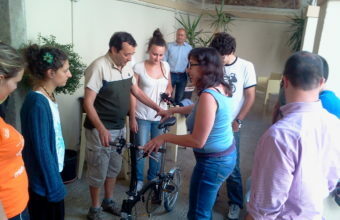 Disseminating good practices and sustainable lifestiles: reducing - reusing - recycling and… creating musical instruments. 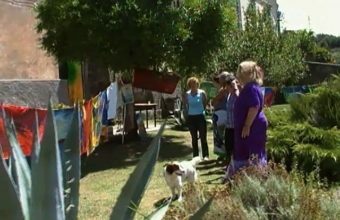 Art–therapy for therapists: participants’ work presentation and sharing of insights. 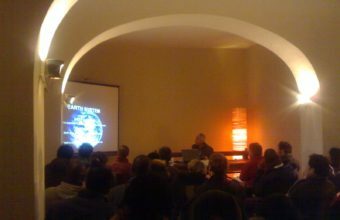 A climate change workshop: exploring how renewable solar energy could change it all (or could have changed: event held in 2008). 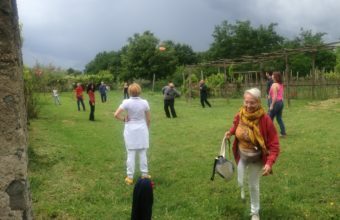 Lifelong training with family constellation – and playing!. 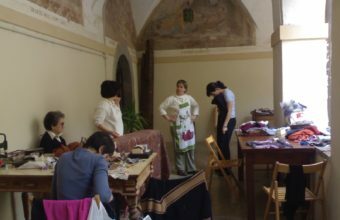 A creative and fun degrowth workshop: participants sewing clothes and accessories with recycled tissues..
Learning theories and practices on sustainable water management..
Food Security Summer Studies participants and professors posing while pausing in cloister.